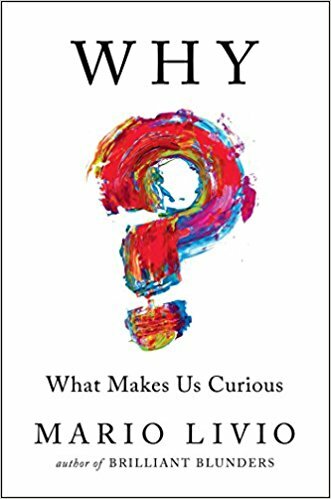 Mario Livio: Curiosity has several kinds or flavors, and they are not driven by the same things. There is something that has been dubbed perceptual curiosity. That’s the curiosity we feel when something surprises us or when something doesn’t quite agree with what we know or think we know. That is felt as an unpleasant state, as an adversity state. It’s a bit like an itch that we need to scratch. That’s why we try to find out the information in order to relieve that type of curiosity. On the other hand, there is something that has been dubbed epistemic curiosity, which is a pleasurable state associated with an anticipation of reward. That’s our level of knowledge. That’s what drives all scientific research. It drives many artworks. It drives education and things like that. You mentioned a few leaders, but it’s not just leaders. The Taliban destroyed works of art. ISIS is destroying works of art in Palmyra, in Syria. There have been book burnings over the years. The Nazis made a degenerate art exhibit where they tried to deface all the modern painters. There definitely have been oppressive regimes and ideologies that try to stifle curiosity. Knowledge@Wharton: Curiosity has always been seen as a very good thing because you’re trying to gain knowledge. There is a negative to diversive curiosity because your attention is turned away. But there is the element of searching or looking for information. It’s kind of walking a fine line there. Livio: If you’re a curious person, then you ought to also be curious about curiosity itself. This has been research by psychologists, cognitive scientists and neuroscientists. There are two parts to this. One is to understand our state of mind when we are curious. I alluded to that in that one type of curiosity creates an unpleasant sensation and another creates an anticipation of reward. It was found that especially the epistemic curiosity, when we try to learn new things, it really follows the paths of reward of dopamine, which is this neural transmitter that is associated with reward in our brains. CHINA’S elite have long had to keep their diaries clear for much of September, October and November, waiting for a date to be announced for a five-yearly congress of the ruling Communist Party. At last, it has been revealed. The red carpets will be rolled out and the skies turned blue (by shutting down factories and keeping cars off the roads) on October 18th. It will be the 19th such gathering since the party was founded in 1921. At the meeting, some 2,300 hand-picked delegates will choose a new Central Committee which will then hold its own conclave to reshuffle membership of the country’s most powerful decision-making bodies. The line-up has been largely settled during months of secretive horse-trading. Rumours abound about who has made the cut. The president, party chief and supreme commander of the armed forces, Xi Jinping, certainly has. He has already served five years as the party’s general secretary. If he sticks to precedent, he has another five years to go (though some believe he wants to keep the job longer than the usual decade). This meeting will give Mr Xi his first chance to implement sweeping changes of personnel at the very top of the party—his predecessors selected the 25 members of the current Politburo at the previous congress in 2012. It is widely expected that this gathering will offer clues as to how effectively Mr Xi has consolidated his power since then and what he plans to do with it. The signals, however, will be hard to read. Around half of the nearly 400 members of the Central Committee will be replaced, as will about two-fifths of the Politburo. New military chiefs will be appointed, too. But most attention will focus on who makes it into the Politburo’s Standing Committee. Five of its seven members are due to retire, including Wang Qishan, Mr Xi’s one firm supporter in the group, who is in charge of his anti-corruption campaign. There has been speculation that he may keep Mr Wang on. To do so would breach convention but no rules. However, retaining Mr Wang would not, by itself, prove that Mr Xi is strong. It could suggest that he lacks other close allies whom he trusts to do the politically dangerous job of fighting graft. It is likely that the new Standing Committee will contain more Xi loyalists. But the problem for outsiders is that, even when the new men (and they will almost certainly all be men) are paraded before journalists at the end of the meetings, it may still be hard to calculate how much additional clout Mr Xi will enjoy. Factional allegiances are often ill-defined. Mr Xi is a stickler for secrecy. It is not yet known how, or whether, the congress will change the party’s constitution to recognise Mr Xi’s contributions to Communist ideology. If it rules that the party should be guided by “Xi Jinping Thought”, that would suggest he has gained enormous power (the only other leader acknowledged to have Thought with a capital T is Mao Zedong). If the term chosen is “Xi Jinping Theory”, that would place him on a par with Deng Xiaoping—not bad either. Avoiding being elevated to Mao’s level may simply reflect good judgment on Mr Xi’s part. Diehard Mao fans would be appalled by his hubris should he claim to have Thought, too. Assuming that Mr Xi does emerge stronger (which is likely), what will that mean? Early in his tenure some commentators predicted that he would spend the first five years building up his power, and then use it to carry out wide-ranging economic reforms as well as, perhaps, some limited political ones. That now seems unlikely. 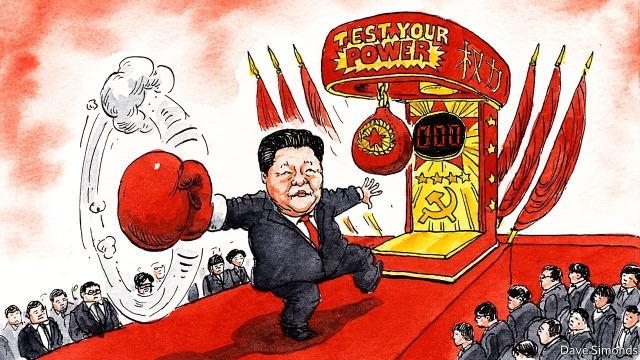 Mr Xi’s concentration of power has developed its own momentum and intensifying control over a fast-evolving society appears to be his main aim. As one party official puts it, Mr Xi will remain a “stabilising factor”; policy will not change much. It is not clear what will happen when he steps down. Chinese leaders have tended to line up successors by this stage of their tenure. Not Mr Xi. He recently ousted the party chief of the south-western region of Chongqing, once tipped as a possible heir. The lack of an anointed successor need not mean Mr Xi will stay for a third term. But it does make it more likely that, even if he steps down as general secretary in 2022, he may try to hold the strings of any new leader. After all, Deng retained power from his perch as head of the China Bridge Association. Since the pro-democracy upheaval of 1989, the party has owed its longevity partly to managing peaceful, institutionalised transitions of power from one autocratic leader to another. Mr Xi may prove the joker in the pack. The Fed has failed to meet its 2% inflation target, and it risks inflating easy-money bubbles. Does this make sense? Lately we’ve been wondering about the long-term efficacy of the Federal Reserve’s explicit inflation target, which is 2%. Yes, contrary to common belief, the life of a Barron’s columnist isn’t all Champagne and chocolate. Interest rates and price/earnings ratios are our daily bread. The idea of an inflation target was established in January 2012, in the aftermath of the 2008-09 financial and economic crisis. The Fed said then that an explicit goal would help promote the central bank’s dual mandate: low unemployment consistent with stable prices. And in those tough postcrisis years, the extraordinary easy monetary policy succored an economy flat on its back. Despite the Fed’s assiduous ministrations, however, inflation has stubbornly resisted the 2% target for most of the past five years. The 12-month change in the consumer-price index was a tame 1.7% in July, down from a more than 2% run rate earlier in the year. There are two downsides to the Fed’s unrelenting—if as yet unsuccessful—pursuit of a specific inflation target. First, the central bank’s credibility is at risk, notes economist A. Gary Schilling. “If you say you have the monetary tools to effect that target, and you don’t, then one has to question their tools,” he says. In June, the Fed indicated there would probably be another 25-basis-point hike in the federal-funds rate, now 1%, to 1.25% in December, and three more similar increases in 2018. (A basis point is a hundredth of a percentage point.) Few believe that, particularly with the terrible hurricane damage in Houston, with potentially more to come in the Southeast. It’s the direction of inflation data that matters most to the Fed, even more than the level of inflation, says Morgan StanleyMS in Your Value Your Change Short position economist Ellen Zentner. With a specific goal, however, it’s difficult to convince markets of that, she says. In other words, investors believe the central bank should do nothing because the 2% level hasn’t sustainably been met. The other problem with targeting rather than maintaining a flexible response, which was the case before 2012, is the risk that the Fed “keeps policy too easy for too long,” says Mike O’Rourke, chief market strategist at JonesTrading. The country has had price stability for five years, but to gain a few basis points more of inflation, the Fed has pursued an easy policy for an extended period of time, potentially inflating a bubble in financial assets, he says. Consumer prices are under control, but stocks and bonds are near all-time highs, and real estate is frothy. Private-equity deals are being done at higher and higher multiples, too. Sub-2% inflation before 2008—before the public target—wouldn’t have justified extraordinarily accommodative monetary policy, O’Rourke adds. “Why is the Fed micromanaging the economy for want of a few basis points of inflation, when it’s close to the target and not volatile?” he asks. The fed-funds rate should have been at 2% already, he says. And, he asserts, you wouldn’t have the financial-asset bubble that exists now had the Fed moved earlier. Nearly a decade of accommodative policy has delayed the business cycle, but, he adds, the cycle hasn’t been eliminated. 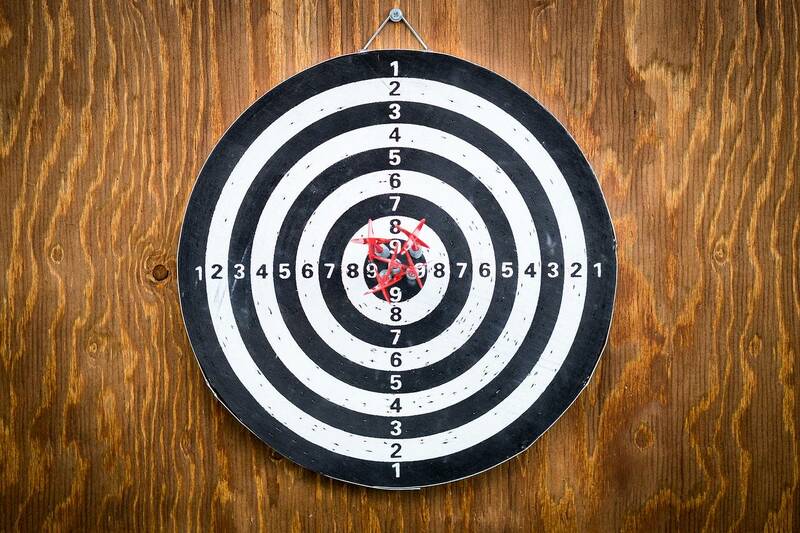 With a target, the Fed has painted itself into a corner. It won’t raise rates as fast as it should for fear of pricking the asset bubble that overly easy money has helped create. Down the line, when rates do rise, the risk is of a bigger drop in asset prices then otherwise might have been. ZERO INTEREST RATES pulled the economy out of the crisis, but is the medicine now worse than the cure? What good is an inflation target that effectively holds down mortgage rates if that policy also drives house prices beyond the reach of the middle class? And for stocks, low rates have been the gift that keeps on giving. Instead of waiting for 1.7% inflation to reach 2%, perhaps the Fed should declare an inflation-target victory and get on with normalizing rates before the bubbles get too much bigger. The Fed faces an increasingly difficult trade-off, says Morgan Stanley’s Zentner. The risk, she adds, is that if the Fed does nothing in the current environment of low unemployment and easing financial conditions, it runs the risk of having to raise rates quickly later on and at a speed that markets won’t like at all. Layered on this is one big unknown: Four of seven Fed governorships will soon be open, and it’s a good bet that Donald Trump–appointed players will want to keep rates low. Fed Chair Janet Yellen, who helped introduce the explicit inflation target, might not be reappointed after her term ends on Feb. 3, 2018, though she could stay on as a governor until 2024. Perhaps it’s time for the Fed to stop being a helicopter parent to the U.S. economy. Micromanaging inflation could lead to troubles down the road. The next Fed meeting is Sept 19-20. Stay tuned. The whole drill impresses me as being so perversely stupid as to border on the surreal. Insofar as the Drug War diminishes supply of product, it raises prices. The higher the prices, the higher the profits. And the higher the profits, the greater the inducement to youngsters anxious to get into the game. The more successful it is in imprisoning people, the more new people it draws into the business to replace them. Les escribo estas líneas con motivo de mi próximo viaje, por lo que estaré ausente de la oficina y de nuestras lecturas cotidianas, desde el lunes 2 hasta el lunes 16 de octubre próximo. 10 años después de la crisis del 2007/2009, el inicio de la Gran Recesión y la quiebra sistémica tanto de los grandes bancos, así como de otras grandes empresas como AIG, Fannie Mae, Freddie Mac, General Motors, etc. la FED y el resto de los bancos centrales más importantes del mundo, lograron “resucitar” tanto a las empresas mencionadas, como el sistema financiero internacional y reiniciar el crecimiento económico, aunque este aún es muy limitado y deja mucho que desear. La inflación inexistente aun a pesar de las ingentes cantidades de dinero sin respaldo emitido QE1, 2, 3, 4, la tasa de interés en 0, negativa o en sus mínimos históricos, i.e. la represión financiera, el enorme costo de la supuesta recuperación ha caído sobre los hombros de los ahorristas, los pensionistas y la clase media. Y ha beneficiado desigualmente a la mayoría de la población. Se estima que solo al 5% más acomodado y más rico, básicamente. Mientras la situación del resto se ha deteriorado o en el mejor de los casos, mantenido. Además, ha producido la creación de grandes distorsiones en la economía global, que cada vez se hacen más patentes en el transcurso de los años, con el incremento de las desigualdades. El crecimiento económico, modesto en el mejor de los casos, contrasta con la impresionante subida de los precios de las acciones en las bolsas, especialmente el índice Dow Jones, donde priman las compañías tecnológicas. El ajuste está aún pendiente 10 años después. Muchos analistas especulan que, en la próxima recesión, se pagaran todos los pecados de la manipulación de los mercados por la banca central desde que se inició la crisis desde el 2007/2009 haciendo el ajuste mucho mayor. En términos financieros globales, la tendencia no ha cambiado mucho desde mi última carta en mayo pasado, cuyo link les incluyo para no ser repetitivo. Como lo dijo recientemente en uno de sus últimos artículos el distinguido y reconocido analista del Financial Times de Londres, el Sr. Martin Wolf, en realidad, nadie sabe lo que va a pasar. Para una mayor profundización y actualización de estos temas, les sugiero leer los artículos seleccionados del blog, aquí, aquí y aquí. Hay que mencionar las crecientes tenciones entre Corea del Norte y los Estados Unidos de Norteamérica, que se han intensificado últimamente y la inseguridad se refleja en la subida del precio del oro, la volatilidad de los mercados financieros, entre otros. También el precio del oro, hoy alrededor de los 1300 dólares la onza, es resultado del debilitamiento del dólar desde principios de año, que ha alcanzado alrededor del 9% hasta la fecha, frente a una canasta de monedas de sus principales socios comerciales. Finalmente, la llegada de la extrema derecha al parlamento alemán con 13%, en las últimas elecciones en Alemania el domingo pasado, después de 50 años, es otra muestra de las consecuencias de la geopolítica cambiante en el mundo y las insatisfacciones sociales. Se aprecia un alto nivel de complacencia en los mercados financieros. Algunos analistas señalan es el reflejo de la ilusa seguridad de los inversionistas, que los bancos centrales ante cualquier corrección, intervendrán nuevamente manteniendo todo bajo control. Veremos. Deutsche defines a crisis as a period when a country suffers one of the following: a 15% annual decline in equities; a 10% fall in its currency or its government bonds; a default on its national debt; or a period of double-digit inflation. During the 19th century, only occasionally did more than half of countries for which there are data suffer such a shock in a single year. But since the 1980s, in numerous years more than half of them have been in a financial crisis of some kind. The main reason for this, argues Deutsche, is the monetary system. Under the gold standard and its successor, the Bretton Woods system of fixed exchange rates, the amount of credit creation was limited. A country that expanded its money supply too quickly would suffer a trade deficit and pressure on its currency’s exchange rate; the government would react by slamming on the monetary brakes. The result was that it was harder for financial bubbles to inflate. But since the early 1970s more countries have moved to a floating exchange-rate system. This gives governments the flexibility to deal with an economic crisis, and means they do not have to subordinate other policy goals to maintaining a currency peg. It has also created a trend towards greater trade imbalances, which no longer constrain policymakers—the currency is often allowed to take the strain. Similarly, government debt has risen steadily as a proportion of GDP since the mid-1970s. There has been little pressure from the markets to balance the budget; Japan has had a deficit every year since 1966, and France since 1993. Italy has managed just one year of surplus since 1950. In the developed world, consumers and companies have also taken on more debt. The result has been a cycle of credit expansion and collapse. Debt is used to finance the purchase of assets, and the greater availability of credit pushes asset prices higher. From time to time, however, lenders lose faith in borrowers’ ability to repay and stop lending; a fire sale of assets can follow, further weakening the belief in the creditworthiness of borrowers. Central banks then step in to cut interest rates or (since 2008) to buy assets directly. This brings the crisis to a temporary halt but each cycle seems to result in higher debt levels and asset prices. 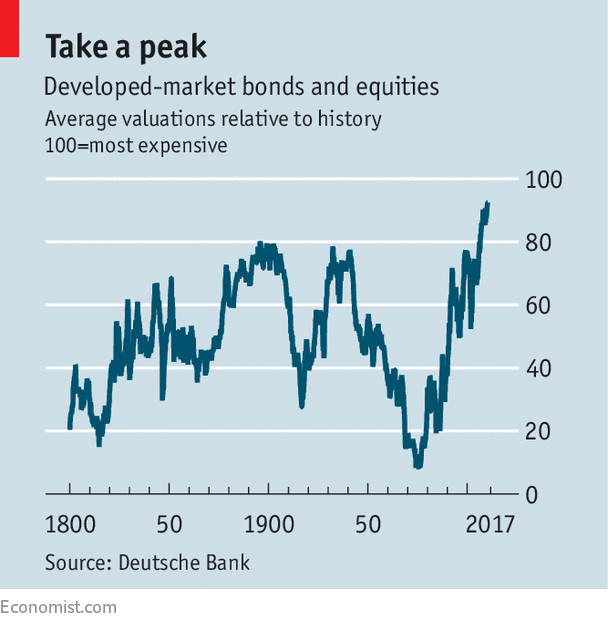 The chart shows that the combined valuation of bonds and equities in the developed world is higher than ever before. All this suggests that the financial system could be due another crisis. Deutsche makes several suggestions at to what might cause one, from a debt-related crash in China, through the rise of populist political parties to the problem of illiquidity in bond markets. The most likely trigger for a sell-off is the withdrawal of support by central banks; after all, the monetary authorities are generally credited with having saved the global economy and markets in 2009. In America the Federal Reserve is pushing up interest rates and reducing the size of its balance-sheet; the European Central Bank seems likely to cut the scale of its asset purchases next year; the Bank of England might even increase rates for the first time in more than a decade. Central banks are well aware of the dangers, of course; that is why interest rates are still so low, even though developed economies have been growing for several years. But the process of withdrawing stimulus is tricky. A big sell-off in the government-bond markets in 1994 started when the Fed tightened policy after a period when rates were kept low during the savings-and-loan crisis. The high level of asset prices means that any kind of return to “normal” valuation levels would constitute a crisis, on Deutsche’s definition. That might mean that central banks are forced to change course and loosen policy again. But the process would take a little time; central banks will not want to appear too enslaved to the markets. Many investors will want to ride out the volatility; that has been a winning strategy in the past. The problems will emerge among those investors who have borrowed money to buy assets—in America the volume of such debt exceeds the level reached in 2008. The big question is which is the most vulnerable asset class. American mortgage-backed securities were the killers in 2008; it is bound to be something different this time round. Technology is rapidly catching up with the human ability to read faces. In America facial recognition is used by churches to track worshippers’ attendance; in Britain, by retailers to spot past shoplifters. This year Welsh police used it to arrest a suspect outside a football game. In China it verifies the identities of ride-hailing drivers, permits tourists to enter attractions and lets people pay for things with a smile. Apple’s new iPhone is expected to use it to unlock the homescreen. Start with privacy. One big difference between faces and other biometric data, such as fingerprints, is that they work at a distance. Anyone with a phone can take a picture for facial-recognition programs to use. FindFace, an app in Russia, compares snaps of strangers with pictures on VKontakte, a social network, and can identify people with a 70% accuracy rate. Facebook’s bank of facial images cannot be scraped by others, but the Silicon Valley giant could obtain pictures of visitors to a car showroom, say, and later use facial recognition to serve them ads for cars. Even if private firms are unable to join the dots between images and identity, the state often can. China’s government keeps a record of its citizens’ faces; photographs of half of America’s adult population are stored in databases that can be used by the FBI. Law-enforcement agencies now have a powerful weapon in their ability to track criminals, but at enormous potential cost to citizens’ privacy. The face is not just a name-tag. It displays a lot of other information—and machines can read that, too. Again, that promises benefits. Some firms are analysing faces to provide automated diagnoses of rare genetic conditions, such as Hajdu-Cheney syndrome, far earlier than would otherwise be possible. Systems that measure emotion may give autistic people a grasp of social signals they find elusive. But the technology also threatens. Researchers at Stanford University have demonstrated that, when shown pictures of one gay man, and one straight man, the algorithm could attribute their sexuality correctly 81% of the time. Humans managed only 61%. In countries where homosexuality is a crime, software which promises to infer sexuality from a face is an alarming prospect. Less violent forms of discrimination could also become common. Employers can already act on their prejudices to deny people a job. But facial recognition could make such bias routine, enabling firms to filter all job applications for ethnicity and signs of intelligence and sexuality. Nightclubs and sports grounds may face pressure to protect people by scanning entrants’ faces for the threat of violence—even though, owing to the nature of machine-learning, all facial-recognition systems inevitably deal in probabilities. Moreover, such systems may be biased against those who do not have white skin, since algorithms trained on data sets of mostly white faces do not work well with different ethnicities. Such biases have cropped up in automated assessments used to inform courts’ decisions about bail and sentencing. Eventually, continuous facial recording and gadgets that paint computerised data onto the real world might change the texture of social interactions. Dissembling helps grease the wheels of daily life. If your partner can spot every suppressed yawn, and your boss every grimace of irritation, marriages and working relationships will be more truthful, but less harmonious. The basis of social interactions might change, too, from a set of commitments founded on trust to calculations of risk and reward derived from the information a computer attaches to someone’s face. Relationships might become more rational, but also more transactional. In democracies, at least, legislation can help alter the balance of good and bad outcomes. European regulators have embedded a set of principles in forthcoming data-protection regulation, decreeing that biometric information, which would include “faceprints”, belongs to its owner and that its use requires consent—so that, in Europe, unlike America, Facebook could not just sell ads to those car-showroom visitors. Laws against discrimination can be applied to an employer screening candidates’ images. Suppliers of commercial face-recognition systems might submit to audits, to demonstrate that their systems are not propagating bias unintentionally. Firms that use such technologies should be held accountable. Such rules cannot alter the direction of travel, however. Cameras will only become more common with the spread of wearable devices. Efforts to bamboozle facial-recognition systems, from sunglasses to make-up, are already being overtaken; research from the University of Cambridge shows that artificial intelligence can reconstruct the facial structures of people in disguise. Google has explicitly turned its back on matching faces to identities, for fear of its misuse by undemocratic regimes. Other tech firms seem less picky. 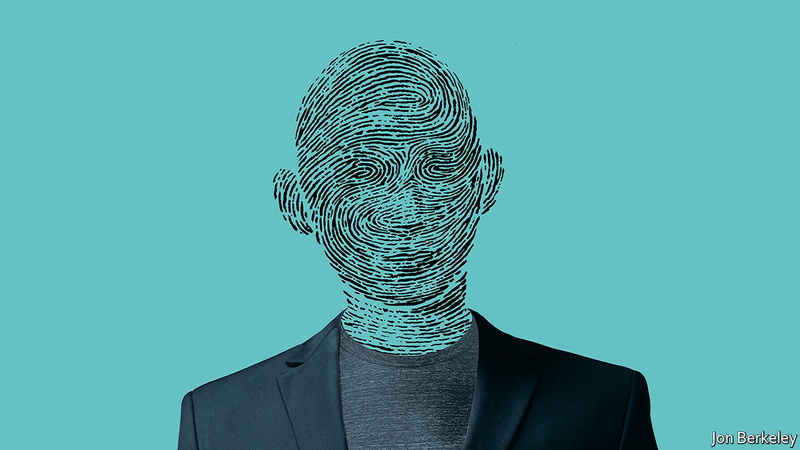 Amazon and Microsoft are both using their cloud services to offer face recognition; it is central to Facebook’s plans. Governments will not want to forgo its benefits. Change is coming. Face up to it. Private banking is emerging from a controversial and colourful history after a decade-long transformation. The fast-digitising industry is becoming modern, transparent and well regulated. It is attempting to shed the image of impenetrable secrecy designed to shield questionably acquired assets from international tax and law enforcement authorities. But a new battle for clients’ assets is just beginning, underlined by questions about the industry’s purpose. Should private banking just be about the cold-eyed pursuit of financial returns for clients or also the “softer” strategies of philanthropy, succession planning and family networking? Moreover, should bankers restrict advice to customers’ portfolios or extend it to include entrepreneurial interests? The core skills of private banks need to be market-related, stresses Michel Longhini, chief executive of private banking at Union Bancaire Privée in Geneva, responsible for client assets of SFr119bn (€108bn). His bank defines itself first “as an asset manager for private clients and institutions”. Things have not always gone well, however. After 2008, private banks were deserted by many clients who had been trapped in illiquid hedge funds, with some exposed to US fraudster Bernard Madoff. With returns difficult to generate in today’s low interest-rate environment, Syz is switching from portfolios diversified across quoted markets into longer-term private equity investments, composed of five to 10 positions. Mirabaud & Cie, another medium-sized Geneva bank, is also moving into private equity, investing clients’ money in smaller unquoted European family-owned companies. “Investors are tired of finance without a face, people without responsibility. We are talking not just about investing money for people, but about their emotions,” says Lionel Aeschlimann, managing partner and head of asset management at Mirabaud. Particularly among younger clients, private banks are seeking to cater to this emotional need. While the industry’s business model directly links size of assets gathered and complexity of how they are managed to revenues, a new generation of small business founders, still in the process of accumulating wealth, is open to new ideas. They want bankers to establish networks of like-minded, socially and environmentally aware entrepreneurial clients. He also lists the importance of helping the client’s family manage its succession plan and indulge in “passions” such as wine, art or philanthropy as key to the relationship. Across the way in Zurich’s central hub of Paradeplatz is Credit Suisse, where a combination of investment and private banking is at the core of the bank’s business model. Its strategists target “asset rich, cash poor” entrepreneurs, with corporate, institutional-style needs, competing for new ultra-wealthy clients with UBS, JPMorgan, Morgan Stanley and Goldman Sachs. The aim is to make private and investment banking so interconnected that clients will find positions “hard to unwind”, Credit Suisse states. But analysts suggest this might not be the best direction for private banking. While Credit Suisse says two-thirds of its entrepreneurial clients use the investment bank’s services when selling or borrowing against their business, this does not match industry trends. The “one bank” policy combining private and investment banking has enjoyed only sporadic commercial success for UBS and Credit Suisse, says Zurich-based consultant Ray Soudah, chief executive of MilleniumAssociates. His research shows the majority of private clients do not use their investment bank’s corporate advisory services and those requiring such services prefer to source them elsewhere. While Millenium has opened its own M&A “advice and execution” service for business owners and entrepreneurs, private banks are setting up internal client networks to connect buyers and sellers of businesses. BNP Paribas Wealth Management has designed a “Leaders Connection” mobile phone app through which clients with wealth exceeding €100m can share details of assets, with the prospect of buying, selling or co-investing. These institutions are all aware they need to adapt in order to survive, expecting further consolidations on the horizon. Soudah, himself a former private banking executive, expects dramatic change in this sector, probably over the next 12 months. Manufacturing output continues to improve, even though the number of manufacturing jobs in the U.S. continues to decline and this trend will not stop. While some Jobs have gone overseas, the new trend suggests that automation has eliminated and will continue to eliminate a plethora of jobs. As this trend is in the early phase, the momentum will continue to build in the years to come. Guatieri goes on to state that “The defining feature of a job at risk from automation is repetition”. This puts a lot of jobs at risk, many of which fall under the so-called highly skilled category today; for example, Accountants, Lawyers, Radiologists, X-Ray technician, etc. Unions continue to push for higher minimum wages while the purchasing price of robots continues to decline; this is not a conducive environment for most unions. In the era, where raising prices is not an option, the only leeway most businesses have is to cut costs. The human factor is the most expensive factor in any business, and that is where the focus will be going forward. The image below speaks a thousand words. The introduction of machines and tools created a significant demand for unskilled labor (it rose from 20% of the workforce to 39% from 1700 to 1850). Machines either pushed craftsmen out of the labor market completely, or encouraged employers to decrease their workers' wages. The Economist cites this exact situation in which wages fell drastically in the early 1800s, not recovering until 1960. As machines replace humans, the cost of producing goods will drop, and as more people will be competing for the remaining jobs, wages will trend downwards. Wages will rise in some specialised sectors, but these jobs will demand a specialised set of skills, for example, robotics. It appears that AI will only exacerbate the current situation in the years to come. Therefore, deflation and not inflation is what we might have to deal with for years to come. One of the hallmarks of a successful society is the widespread belief that education is a key to success. For that to be true there have to be 1) enough jobs farther up the food chain to make four more years of studying worthwhile, and 2) schools that are good and cheap enough to make the equation work financially. (Wall Street Journal) – Americans are losing faith in the value of a college degree, with majorities of young adults, men and rural residents saying college isn’t worth the cost, a new Wall Street Journal/NBC News survey shows. The shift was almost entirely due to growing skepticism among Americans without four-year degrees—those who never enrolled in college, who took only some classes or who earned a two-year degree. Four years ago, that group used to split almost evenly on the question of whether college was worth the cost. Now, skeptics outnumber believers by a double-digit margin. Conversely, opinion among college graduates is almost identical to that of four years ago, with 63% saying college is worth the cost versus 31% who say it isn’t. Today, Democrats, urban residents and Americans who consider themselves middle- and upper-class generally believe college is worth it; Republicans, rural residents and people who identify themselves as poor or working-class Americans don’t. Research shows that college graduates, on average, fare far better economically than those without a degree. For example, the unemployment rate is 2.7% among college graduates, compared with 5.1% among high school graduates who never attended college, and Labor Department research shows that bachelor’s degree recipients earn higher salaries than those who never went to college. But the wage premium of getting a degree has flattened in recent years, Federal Reserve research shows. “Costs have gone up considerably to the point that I think there are a number of people who maybe rightfully say, ‘I’m not in the league of Harvard and maybe not even in the league of really good state schools,’” said Doug Webber, a Temple University econimics professor. Many of those Americans are concluding that paying high tuition at less-prestigious schools isn’t worth it. College is clearly still a good thing, just not at current prices. Put another way, higher ed has been in a bubble fueled by government loans and deceptive marketing, and now that bubble is bursting. The old model of extended adolescence in which mom/dad/Uncle Sam cover five or more years of partying and sampling various majors is now beyond the means of more than half the population. And the trend is just getting started, as soaring debts make it harder for future governments to subsidize higher ed and automation makes an ever-longer list of degrees pointless. The result: The gap between educational haves and have-nots will continue to widen, as formerly middle-class kids find themselves with – at best – working class prospects. And the political and financial instability that flow from inequality will define the coming decade. In a secret underground base, Command Post Tango, the combined headquarters of the U.S.-South Korean command, is abuzz with activity. North Korean artillery has pummeled sites around Seoul, leaving thousands of South Korean and American civilians and service members dead. A toxic combination of North Korean provocations and U.S. escalation has prompted the North to launch a last-ditch effort to seize the whole peninsula. As the generals fill an auditorium-sized sand-table battlefield showing the disposition of friendly forces and the extent of likely follow-up attacks, hundreds of thousands of South Koreans are displaced in and around Seoul, seeking shelter and safety. Reports of North Korean insurgent strikes are streaming in as computer screens flash with alerts of cyberattacks on Seoul’s infrastructure, taking water and power off the grid and paralyzing attempts to help the civilian population. This is a fictional scenario, but an all-too-possible one. As a U.S. Army intelligence officer in South Korea, I helped prepare for various war scenarios by testing assumptions and refining war plans in several theaterwide exercises. Put fears of full-blown nuclear war aside for a moment. We’ve never been closer to a conventional North Korean attack on South Korea, and I can attest that the U.S. military knows how devastating the consequences would be. We can expect a massive humanitarian crisis, enormous loss of life, and economic disaster. There’s almost no doubt that the North would lose — but in going down Pyongyang could take much of the Korean Peninsula with it. What could provoke North Korea to start such a conflict? Kim Jong Un may eventually believe that he has no choice, given his country’s chronic humanitarian crisis, with an estimated 41 percent of the population undernourished, and additional sanctions threatening to bring back the famines of the 1990s. Kim could calculate that a surprise attack on South Korea would rally the population and remind the world of the North’s power. And the belligerent rhetoric of North Korean propaganda, with its talk of triumph and total war, could leave its own leaders mistakenly convinced that they would win such a conflict, just as the sloppy toughness coming out of the White House might leave them convinced that the United States is about to strike anyway. Whatever the prompt, once the decision is made to attack, North Korea will move swiftly to accomplish its war objectives — either to seize all of its southern neighbor and make itself de facto master of the peninsula or to execute a limited attack to remind the world of its teeth. From the beginning, the North will operate on a ticking clock. The logistical capabilities of the North Korean military, assuming only limited wartime assistance from China at best, will only last for a few days before the country runs out of food, ammunition, fuel, and water. Some units may be able to operate for as long as a few weeks, but maintaining supply lines across mountainous terrain will be an almost impossible task. The North will most likely lose its major command-and-control infrastructure in the first few hours, crippling its ability to communicate across the battlefield. U.S. air power will target major brigade and division headquarters in the hope of leaving North Korean troops cut off, in confusion, and unable to launch coordinated attacks. That will leave the North with only a brief window to entertain dreams of victory. Like the Imperial Japanese Army in World War II, the North will seek a decisive battle that, in its view, could knock out a weak-willed United States. That means a massive barrage in the first few hours of the conflict, targeting the largest U.S. military garrisons along the Demilitarized Zone (DMZ) and in the Seoul region. Other targets could include air and naval bases in the South, and possibly Japan, to prevent an allied counterattack and soften defenses for a possible entry by the North Korean military along the DMZ or via small-scale amphibious landings in the east and west. Pyongyang will fire short-range ballistic missiles and multiple rocket launchers near simultaneously to destroy these few dozen high-value defense infrastructure targets. Although estimates vary, some figures indicate that North Korea has approximately 1,000 missiles positioned across the country and most of them within reach of Seoul. Even a small number of missiles fired into the city, targeting South Korea’s defense complex, will have a significant impact, as each warhead weighs between 500 and 1000 lbs. To put that in context, each would be enough to annihilate anything in one to two city blocks. The missile attacks won’t last for long, though, as South Korean and U.S. firepower will pick up their locations quickly. But the North’s artillery ability to quickly retreat into underground complexes or deep into caves after attacking will make it very difficult to destroy the weapons immediately. With decades to prepare, the North’s artificial cave networks far exceed even al Qaeda in Afghanistan or the Vietnamese before the battle of Dien Bien Phu. Artillery on its own will wreak havoc, but it is just one part of the North’s deadly arsenal. Since the end of the Korean War, the North has developed asymmetric capabilities in areas such as biological, chemical, and cyber. Some estimates indicate that North Korea possesses 2,500 to 5,000 metric tons of chemical weapons including nerve agents like sarin and VX. Biological weapons such as small pox and anthrax may also play a role. In the brazen assassination of Kim Jong Un’s half-brother, Kim Jong Nam, the world saw that North Korea could effectively use chemical weapons. In the event of a war, North Korea will not hesitate to launch chemical and biological weapons at South Korean and U.S. air bases or on main supply routes. A biologically or chemically contaminated site would have to be treated with special care, requiring all forces in the area to don protective gear and severely disrupting South Korean and U.S. movements across the battlefield. Delivering these payloads would not be challenging, as North Korean missiles are capable of carrying chemical and biological weapons in place of conventional explosives. Decentralized attacks could also be in the cards, as North Korea has reportedly recruited hundreds of spies across the world to conduct various missions. Those agents would likely be blended into the larger North Korean population and could be activated to carry out attacks using weapons of mass destruction in the South. But the North’s cyberprogram could be even more frightening. In the past few years, North Korea has allegedly had a hand in various cyberattacks including the deployment of the WannaCry ransomware, theft of money from Bangladesh’s central bank, and leaks of confidential data from Sony Pictures. The secretive Bureau 121 participates in offensive cyber-operations and has establishments across the world that could ensure that there will be no interruption of cyberattacks even in the event of heavy South Korean and U.S. counteroffensives on North Korean soil. Given the country’s past attacks against financial systems, North Korea could shut down the major Korean and U.S. banks, precluding millions of transactions and denying access to credit. The economy as a whole would grind to a halt, leaving cities in crisis as “just-in-time” delivery systems fail, businesses crumble, and stores empty in panic. Another attack could shut down the energy grid in the Seoul region. Food would turn bad, patients would struggle to survive as medical equipment failed, and personal communications would collapse. The South Korean and U.S. military and emergency services would be forced to divert resources to manage the chaos, allowing the North to push deeper into the peninsula. Whether confined to conventional artillery or supplemented by unconventional warfare, within the first few hours of the conflict, tens of thousands of people will be dead and large swaths of Seoul in smoldering ruins. The South Korean capital is one of the most densely populated places in the world; some 43,000 people live in each square mile of the city. That’s almost four times the density of Washington, resulting in horrific scenes even from a limited strike. The United States will quickly activate its evacuation plan to gather all U.S. civilians in Seoul and move them to nearby bases or cities to airlift them out of the war theater and to countries unaffected by the war, though many will be lost in the chaos. Millions of Seoul residents will attempt to flee their homes; however, the frequent artillery attacks, patchy gas supplies, and blocked roads will make any escape from the city challenging. There are some other options. Seoul residents have subway stations, tunnels, and bomb shelters where they could seek cover from the artillery barrage, as they have repeatedly drilled for. Several stations can hold thousands of people and were dug deep underground with a dual-use purpose. Some even have backup generators and water facilities. The South Korean government will attempt to establish makeshift camps, away from the intense fighting, to provide basic necessities, but the feasibility of such a system is uncertain. What is certain is that it would trigger one of the greatest humanitarian crises in recent history, leaving millions of Koreans internally displaced refugees. US Vice President Mike Pence shakes hands with U.S. military officers during a visit to the Demilitarized Zone (DMZ) on the border between North and South Korea on April 17, 2017. After the first day, a significant number of the original 28,000 U.S. service members stationed on the peninsula will be casualties — with luck, only a few hundred, but potentially far more. The remainder will form the core of the U.S. counterattack, consolidating into a single division to strike at the North. As their counterparts in Seoul prepare for the North’s ground assault, U.S. and allied forces across the region will begin to scramble. Reinforcements and supplies from Japan, Australia, and the mainland would begin pre-deployment procedures to arrive on the peninsula in a few days. At the same time, the vast U.S. war machine will move into full gear. Dozens of jets will stream across the peninsula, destroying North Korean bases and troop formations along the DMZ. Hundreds of Tomahawk missiles will light up the sky destined for targets deep in North Korea. U.S. submarines lurking hundreds of feet underwater will turn North Korea’s fleet of approximately 800 vessels into sunken wrecks. Within a few hours, North Korea’s air, sea, and artillery assets will likely have been destroyed. On the diplomatic front, the United States will frantically work with China and Russia to contain North Korea from conducting further attacks and to avoid the use of nuclear weapons. Almost all the countries in the world will condemn the conventional attack. NATO will likely begin to mobilize its forces and equipment to support the United States. The United Nations will call for an emergency meeting to work a cease-fire among all warring parties. The Global Times, a Chinese Communist Party-run nationalistic newspaper, has said China will not come to North Korea’s aid if it launches missiles threatening the United States. If that proves to be the case, this would ensure significant pressure against North Korea to stop all offensive operations. The chief diplomatic objective would be to avoid the disaster of a nuclear response. The negotiations will be incredibly challenging. The North is almost religiously invested in its nuclear program, and North Korea’s foreign minister recently said Pyongyang will never negotiate away its strategic option (of about 30-60 nuclear weapons) to protect the country. The North’s missile capabilities appear considerably more sophisticated than believed even as late as last year, rendering the possibility of a nuclear strike on Japan or the West Coast horribly plausible. That might restrain the United States from a full-throated assault into the North itself, wary of triggering a suicidal response from a regime about to topple — and with the generals aware of the danger of prompting a response from China. Beijing might not like Pyongyang, but U.S. troops crossing the DMZ would prompt powerful memories of the Korean War and trigger China’s fears of “encirclement.” However, the United States would move the entire world to ban almost all trade and aid with North Korea immediately to force the regime to cooperate and possibly accept an unconditional surrender. But with South Korean and U.S. forces focused on eliminating artillery and naval and air assets, North Korean light infantry would likely begin probing attacks along the DMZ and the South Korean east and west coasts to test U.S. and South Korean readiness and conduct feints to shift focus away from those countries’ main military effort. While chaos rages around Seoul, North Korea could use submarines, as it has in the past, to slip into South Korea special forces capable of conducting guerrilla operations and disrupting U.S. and South Korean war plans. North Korean special forces and regular troops could also enter the South through several underground tunnels across the DMZ. The North has made digging tunnels a priority, and, since 1974, South Korea has been discovering infiltration routes into its territory. Although just four tunnels are known to the public, more than 20 tunnels are estimated to have been dug, from as close to the surface as just a meter to 100 meters underground. In some of the more elaborate tunnels, mechanical fans provided ventilation, electric lines were wired throughout, and mining carts could ferry materials back and forth. Some figures suggest that up to 8,000 troops per tunnel could move into South Korea every hour, amassing a formidable North Korean force within the space of a few hours to march south. The United States would have several options to counter the North Korean underground movements, given years of fighting experience against insurgents in Afghanistan; its main weapon would likely be bunker-buster bombs to destroy the tunnels and anything in them. The April 2017 MOAB (“Mother of All Bombs”) strike in Afghanistan was a clear example of the United States’ strength in shutting down underground systems in mountainous terrain. But North Korean forces are already — more figuratively — underground in the South. The guerrilla tactics adopted by the North Korean forces in South Korea include assassinating key South Korean leaders, sabotaging military and paramilitary efforts, and intimidating citizens to side with North Korea. All of these have long been part of the North’s playbook. North Korea could also target South Korea’s military reservists, who are especially vulnerable. As South Korea summons its reserve forces, it will have to establish new bases and camps to train and organize them. The actual makeshift war bases are unknown, but the massive Olympic Stadium could be selected as one of the bases due to its cultural significance and vast facilities. This would offer the opportunity for the North Korean forces to carry out a massive attack, perhaps with an improvised explosive device, from inside the stadium. Amid the confusion of mustering, it would be easy for North Korean special forces to blend into the reservists and place military-grade, or ammonium nitrate, explosives under the bleachers, where excited soccer fans once enthusiastically cheered “Daehan minguk!” in an otherwise normal world. The North Koreans would be aided by their shared ethnic and linguistic heritage with their southern neighbors. Although the North’s dialects have now diverged from the South’s — with Russian and Korean terms substituted for English ones and a distinctly different accent — it doesn’t take a particularly proficient actor to sound like a South Korean. At an opportune time, North Korean special forces in the stadium could detonate explosives and quickly follow up with an attack to target fleeing reservists and first responders. Snipers positioned a few hundred yards away would have a great vantage point across the parking lot and into the stadium. The ensuing commotion would be played on loop in North Korea, showing how the heroic North Korean forces were winning the war and would soon return home victorious. But the clock will eventually run out for the North’s assault. South Korean and U.S. commitment is likely only to be deepened by the use of unconventional weapons and the terrible casualties. As with Pearl Harbor, the North’s attack would be perceived as both treacherous and sadistic. The deaths of thousands of U.S. forces would commit the United States to avenging them. Even the most successful possible attack will fizzle as the North’s logistics fail and the jaws of American power close. After all the North Korean strikes and allied counterstrikes, South Korea and the United States will eventually prevail in toppling the Kim regime after a bloody, pyrrhic war. Even a couple of weeks of fighting will leave behind sights more suited to Stalingrad than Seoul, a ruined city marked by small-arms fire, annihilating missiles, and unexploded ordnance. Sites such as the Blue House and the U.S. Embassy will be destroyed, neighborhoods will be razed, and thousands of military and paramilitary forces will blanket the South. Corpses will litter the streets, and many people will lose their entire families. The Kim dynasty will be expunged, leaving North Koreans to face a far more difficult situation than the famine in the 1990s. China will face a humanitarian crisis on its border as North Koreans migrate north in search of food and water. The United States, Japan, and other developed countries will be under significant pressure to adopt tens of thousands of refugees from both sides. The death toll due to the hostilities could total in the hundreds of thousands, but the humanitarian crisis on the peninsula will result in far more through disease and malnutrition and could take decades to heal.